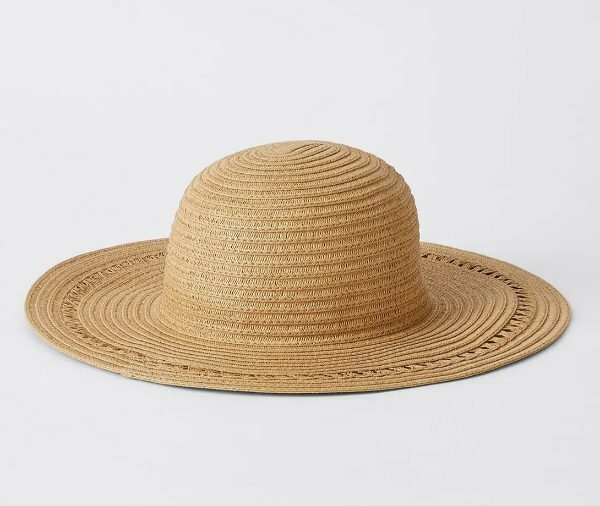 CULT BUY: The $40 Glassons wide brim hat you need for summer. 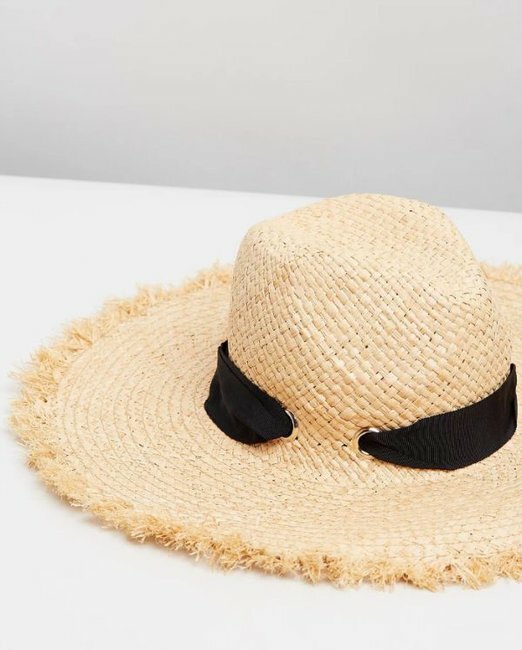 CULT BUY: The $40 floppy hat that'll protect your lovely face from the sun this summer. After sunscreen, water and swimmers (well, I guess they’re… optional? ), a wide brim floppy hat is the most important thing to take to the beach or pool this summer. We know wearing sunscreen on your face will genuinely save you thousands in skin treatments and products over your lifetime. Whether you prefer a physical or mineral sunscreen like O Cosmedics or Invisible Zinc, or a chemical one like The Cancer Council’s or Mecca Cosmetica’s To Save Face, you literally have nothing to lose by chucking on a big hat too. Our faces and often neglected decolletages suffer the brunt of skin damage of the summer months thanks to incidental sun exposure (driving, walking to work, afternoon drinks or Sunday barbecues) and v neck, strappy or sleeveless clothing. 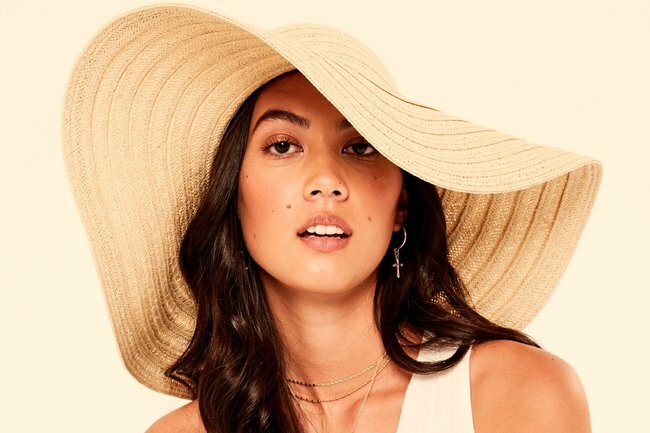 This summer, I’ll be wearing this $39.95 Glassons Open Weave Hat because my poor, freckled neck and shoulders have gone through enough. 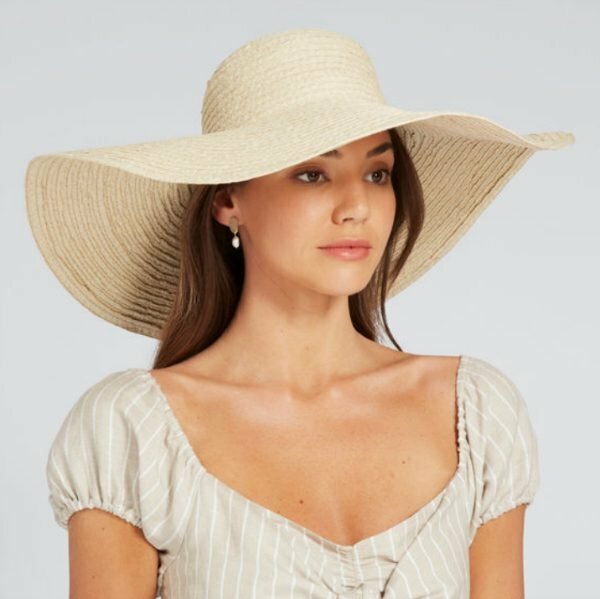 The floppy, droopy style will cast a shadow over those delicate areas, adding extra sun protection, and the hat sits a bit lower on the face for maximum sun and wind protection. This particular style is also fine to get wet, so I like to wear mine while I&apos;m reading or lounging on a towel, as well as in the water. Considering I&apos;m happy to spend a fair chunk of cash on swimwear and sunscreen, $40 for a good quality hat is a bargain. 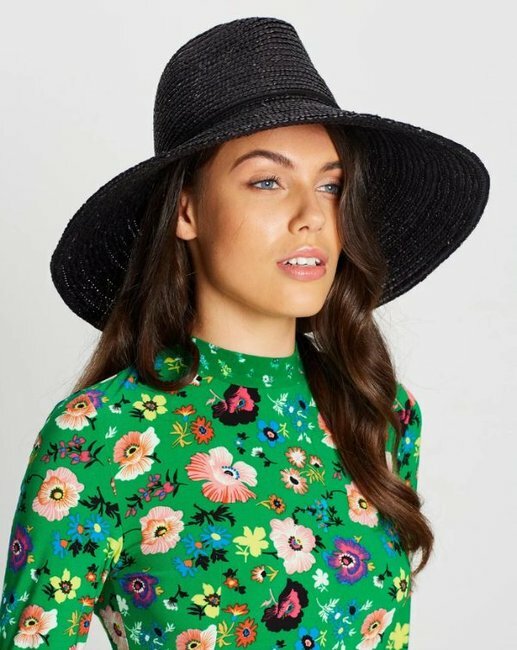 But because finding the right hat to suit your style and taste (so you&apos;ll actually wear it!) 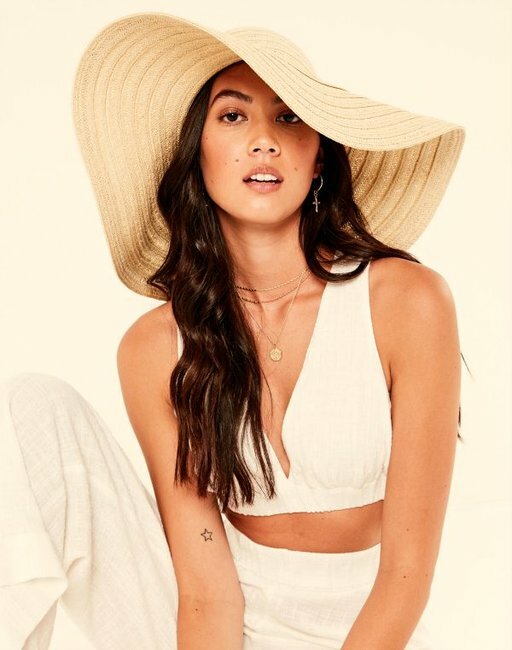 is high on our list of priorities, we&apos;ve also rounded up some other floppy hat options - budget and exxier - to choose from. Country Road Wide Brim Hat, $89.95. Showpo Wouldn&apos;t Change A Thing Hat In Beige, $39.95. 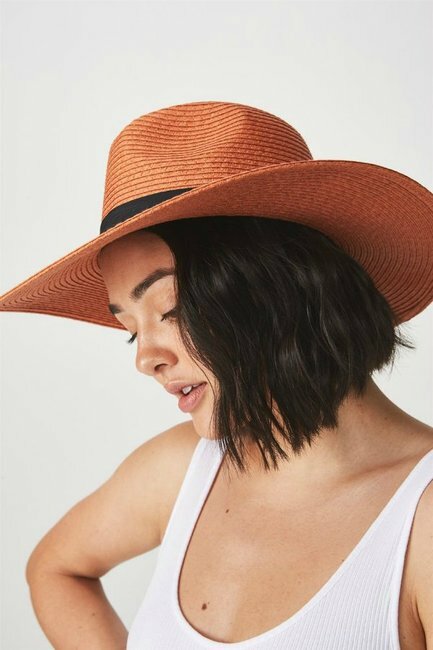 Target Heidi Floppy Hat, $10. Ace of Something Florence Black Diamond Fedora, $79.95. Morgan & Taylor Mckenna Fedora, $79.95. 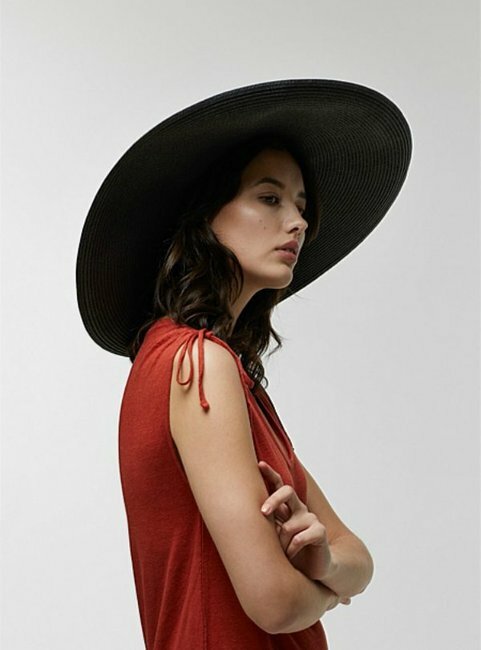 Seed Wide Brimmed Sun Hat, $49.95. 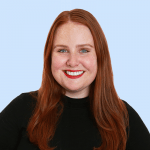 For information about sun protection and how to pick a face sunscreen this summer, get Mamamia&apos;s Leigh Campbell&apos;s recommendations from the You Beauty podcast in your ears below.